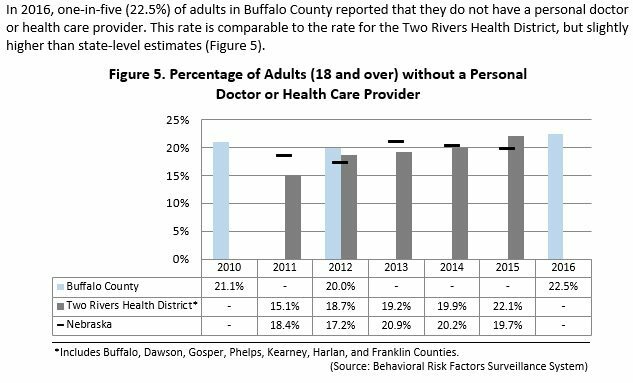 Buffalo County Community Partners is dedicated to promoting healthy lifestyles as evidenced through the Buffalo County 2020 Vision that include strategies, goals, and objectives to Eliminate Health Disparities. 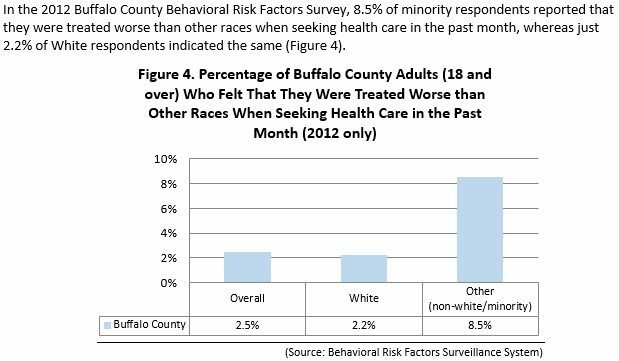 Click here to view the Eliminate Health Disparities Data Report as a PDF. 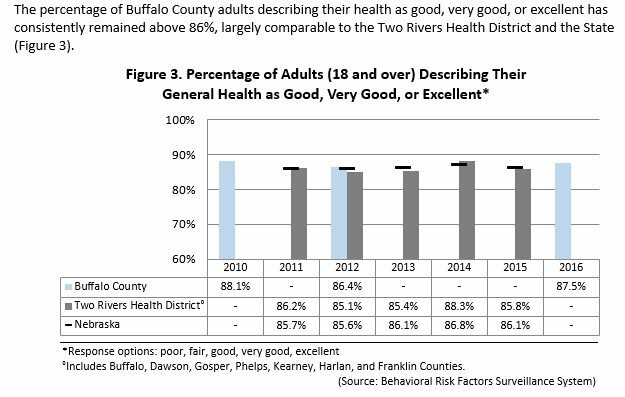 The “Eliminate Health Disparities” strategic direction’s focus is to provide access to comprehensive, quality health care services, which is important for the achievement of health equity and for increasing the quality of a healthy life for everyone. This topic area focuses on four components of access to care: coverage, services, timeliness, and workforce. 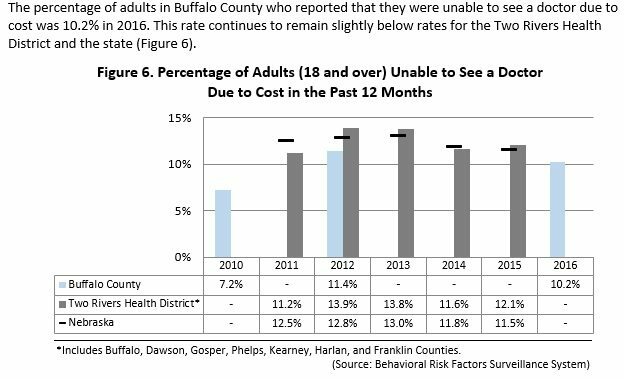 Lack of adequate coverage makes it difficult for people to get the health care they need and, when they do get care, burdens them with large medical bills. 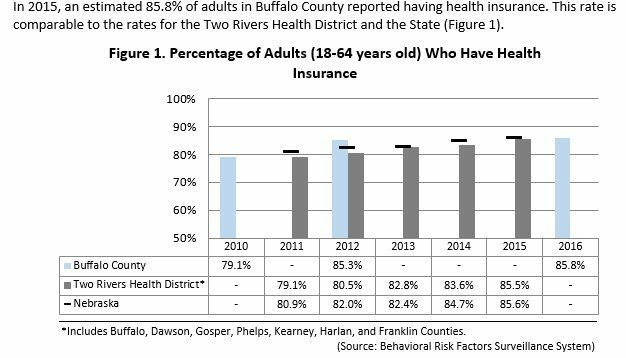 Current policy efforts focus on the provision of insurance coverage as the principal means of ensuring access to health care among the general population. 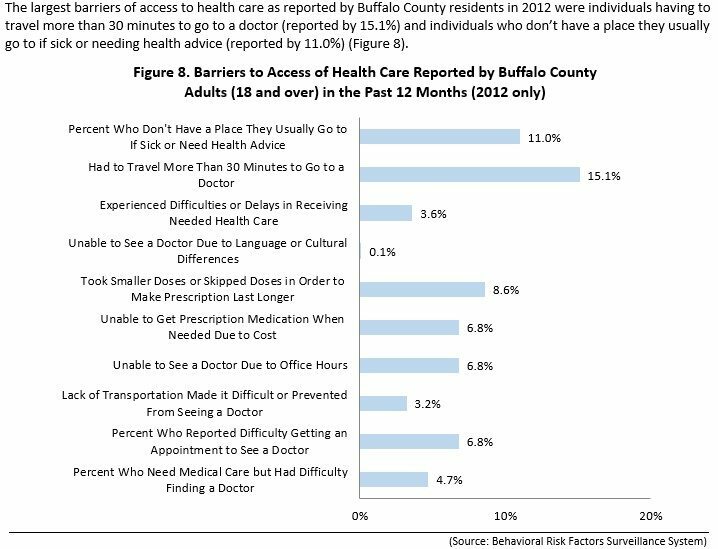 Other factors, described below, may be equally important to removing barriers to access and utilization of services. Prevent illness by detecting early warning signs or symptoms before they develop into a disease (primary prevention). Detect a disease at an earlier, and often more treatable, stage (secondary prevention). In addition to primary care and preventive services, emergency medical services (EMS) are a crucial link in the chain of care. EMS include basic and advanced life support. Within the last several years, complex problems facing the emergency care system have emerged.17 Ensuring that all persons have access to rapidly responding, pre-hospital EMS is an important goal in improving the health of the population. Social determinants also play a role; transportation, housing, medical home, translation/ interpreter services, income, geographical location, etc. Timeliness is the health care system’s ability to provide health care quickly after a need is recognized. PCPs play an important role in the general health of the communities they serve. However, there has been a decrease in the number of medical students interested in working in primary care. 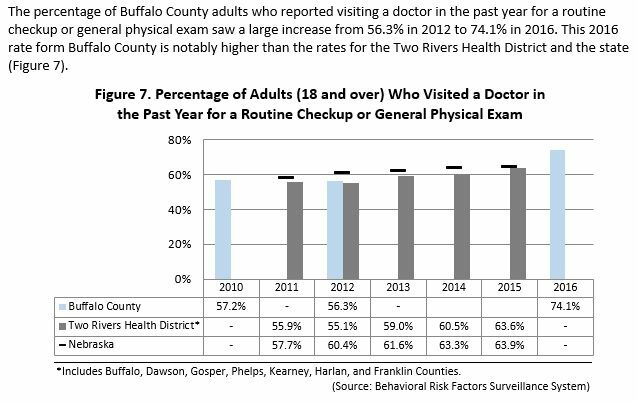 To improve the Nation’s heath, it is important to increase and track the number of practicing PCPs. The 2020 well-being measures (and objectives) for “Eliminate Health Disparities” are listed below.